Using vintage wallpaper to make clay surface impressions! This pot is cool, cause Holly said so! 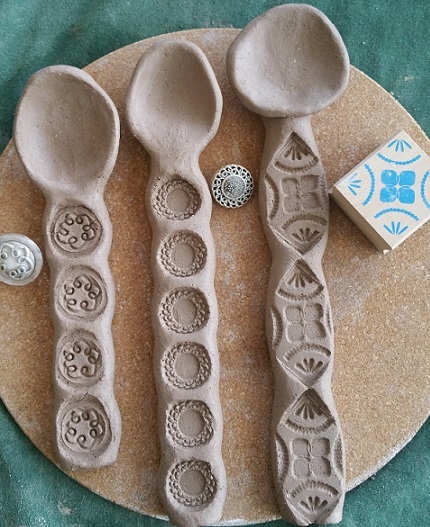 Using textile stamps on clay!